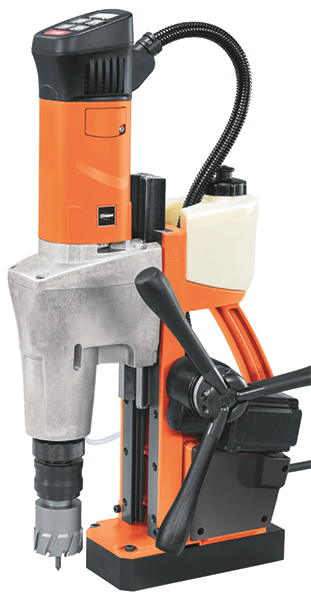 Fein Power Tool, Inc., Pittsburgh, PA, will debut the Slugger JCM 200 Auto, a two-speed fully automatic power-feed magnetic drill that will cut up to 2-in.-dia. holes using Slugger carbide annular cutters in its QuickIn toolholder system. At just 35.7 lb., it reportedly is the lightest 2-in.-dia.-capacity power-feed drill available. Also new is the Slugger JHM ShortSlugger, a 22-lb. compact workhorse that will drill 1-3⁄16-in.-dia. And, Fein will introduce a new cordless, handheld, four-speed portable twist drill designed for metalworking applications.